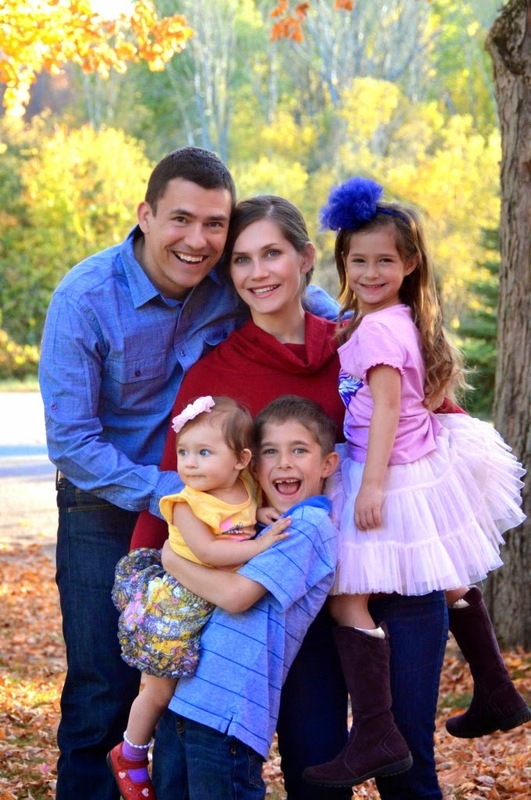 Today, I bring you this post by Olena Centeno from Bilingual Kids Rock in which she reflects about the unique nature of her bilingual family. A lot of multilingual families out there will surely identify with some (if not all) of the issues she mentions. I know I do. I Thought Our Bilingual Family Was Unique - But It Turns Out We're Not! When I first started this article, it was because I'd been approached to write about my unique bilingual family. The more I thought about it, though, the more I realized that my multilingual child raising experience wasn't unique -- and that I was glad of that! What I've learned since I started thinking about multilingual parenting in an active and engaged way is that there are more people out there, doing more of the same things I am, than I ever could have imagined. And that's been a wonderful, valuable discovery. One of the ways in which I always thought of my family as unique was the extent to which a multilingual upbringing for our children was a top priority. It wasn't just something we thought would be neat -- it was something we wanted to base our identity and organization as a family around. Looking around my community (I live in a small town in central Wisconsin), I didn't see a lot of other families that were really active in pursuing second languages for their children. That made me feel like my family was unique, but also isolated. For a long time, it discouraged me from talking about our parenting and language education processes with other people. I also used to see my family as very unique because of the way we encourage active bilingualism in our children. We established curtain communication habits that could look strange and “too much work” from outside point o view. For instance, I ask my children often to repeat what they said in English in Russian or Ukrainian languages. Having the kids both understand and speak their heritage languages has been a part of our goals from the beginning. The handful of bilingual families I have met in my first couple years in USA mostly seemed to focus on a more passive bilingualism: their children could understand a heritage language (usually spoken to them by one or more older relatives), but largely interacted and responded in English. A third thing which I considered unique was our insistence on bilingual literacy. My children have been brought up not just speaking Russian, but also reading and writing in it. To me reading and eventually writing is an important tool on the way to bilingualism. Reading in any language – first or second – has tremendous impact on language development, but for successful acquiring of second language it is simply vital. Yet a lot of times parents could not find time for reading routing. We all have the same 24 hours per day, so I think it is not the time issue, it is just was not a priority for many parents. Most conventional strategies for raising bilingual children focus on learning one heritage or second language in addition to a single primary or local language. Although our strategies have changed somewhat over the years, my husband and I have always pursued fluency in more than one heritage language for our children. I grew up speaking both Russian and Ukrainian, and wanted them to do the same. As a result, our language arrangements have been odd and complicated at times, as we worked to find a system that would teach the children both Russian and Ukrainian, in addition to the English they hear all around them. This, too, seemed unusual even among multilingual families. Finally, the biggest way in which my family's multilingualism felt unique was that we decided to write about it! Starting a blog, and of course following other blogs and support groups online, was a way for my husband and me to stay active and involved. Having to come up with content for our readers was a great way to make sure we kept studying and thinking about multilingual child rearing. It kept us from settling into a fixed system and assuming that was good enough for our household. That outreach is also what introduced me to a much, much larger community of multilingual families than we can find in our immediate vicinity. And that, in turn, is what made me realize -- we're not so unique after all! 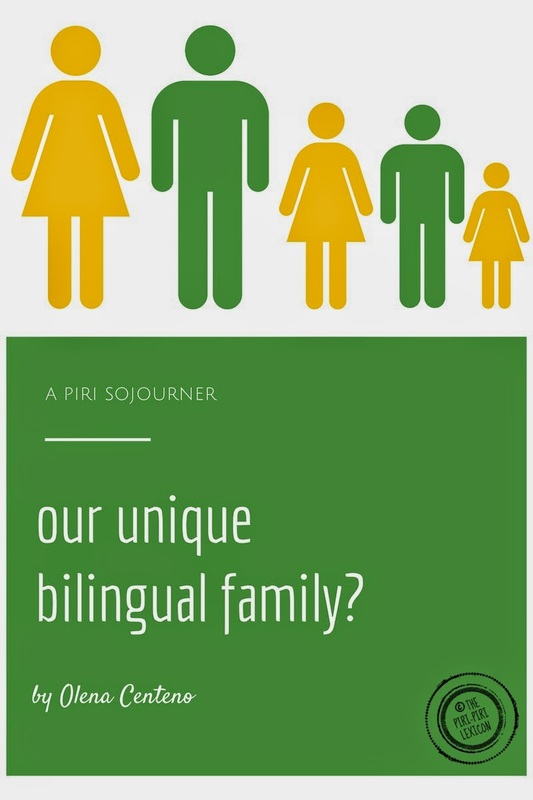 Thanks to online communities (including our own blog and its followers), I've come to learn that there are many multilingual families out there with many different approaches to child rearing. Some of them even look very much like my own! I think that's a wonderful thing. I'm glad to not be totally unique in teaching my kids multiple languages, in encouraging an active and literate multilingualism on their part, and in actively thinking and writing about our strategies as parents. By surrounding ourselves with so many other active, involved, creative families, we're constantly reminded that this is both important and achievable. The more engaged bilingual parents we see, the more confident we are that we're doing the right thing for our kids -- and that it can be done, and has been done before. That's a great feeling. As I've heard elsewhere, "If you think that you can't, you're right. If you think that you can, you're also right." Knowing that we're not alone or unique in our efforts helps remind me that we can.